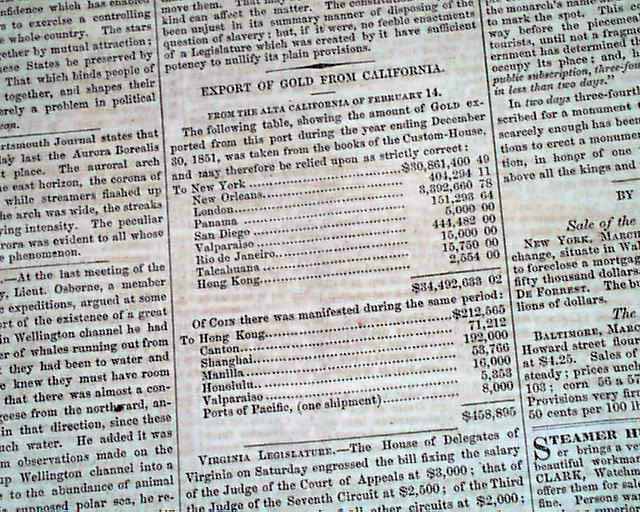 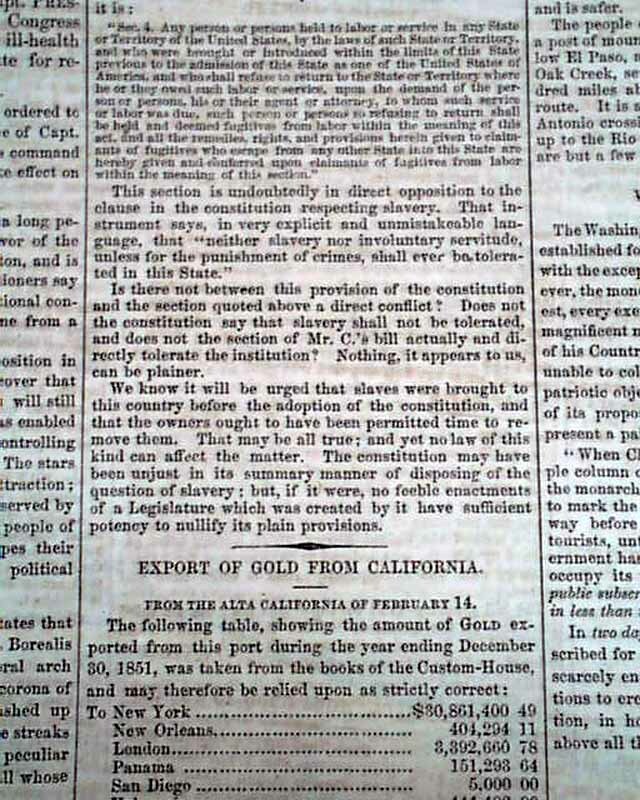 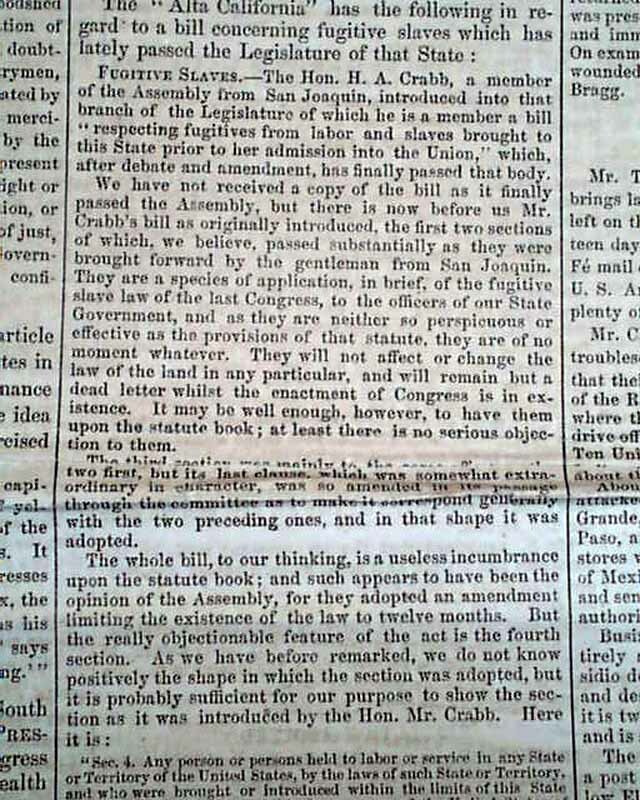 NATIONAL INTELLIGENCER, Washington, D.C., March 18, 1852 The front page has: "Fugitive Slaves" as well as: "Export of Gold From California" which includes a chart. 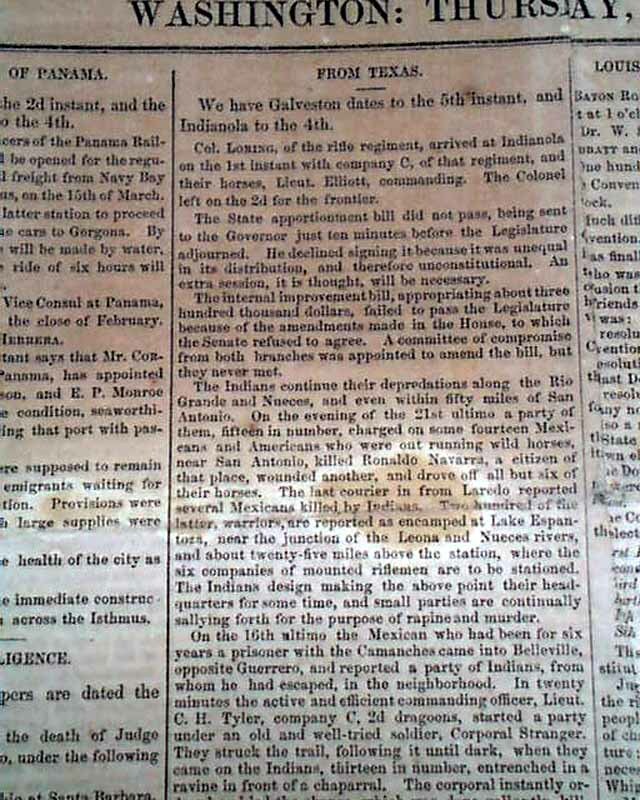 Also: "From Texas" and "From El Paso" "A Patriot of the Rio Grande". 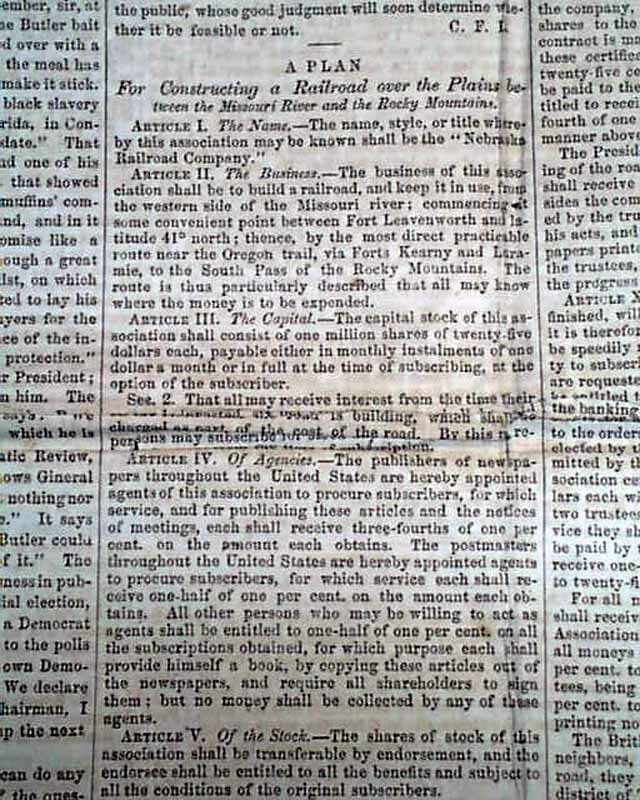 Page 2 has: "A Plan for Constructing a Railroad over the Plains between the Missouri River and the Rocky Mountains" which is 1 1/2 columns. 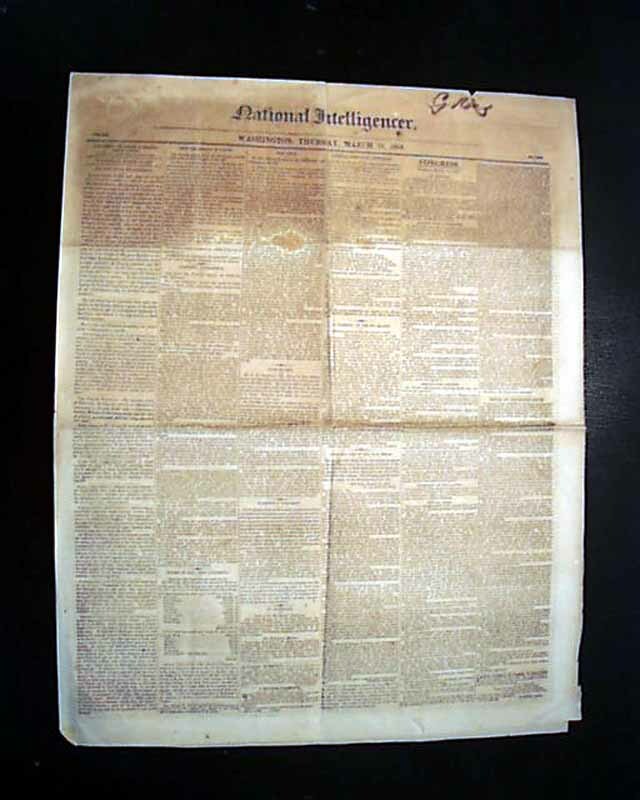 Four pages, never bound nor trimmed, foxing to the top quadrant of the ftpg., generally good.